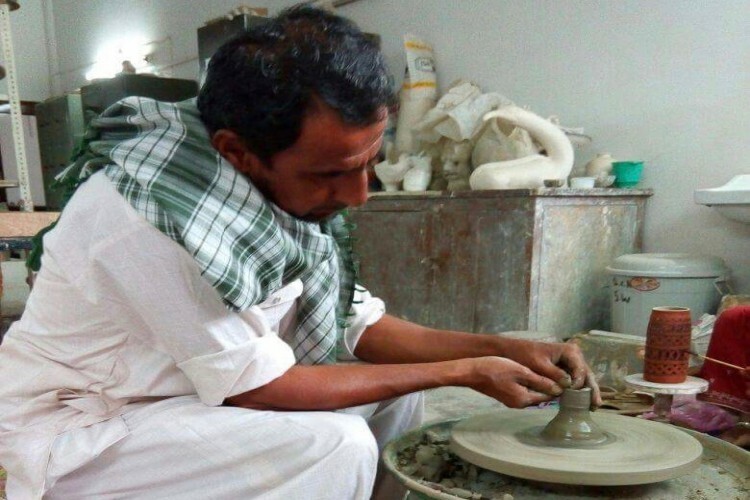 Help the family from Kutch that is preserving Khavda Pottery - craft from the Indus Valley! Help Abdulla Kumbhar & Rahima Behn with their infrastructure needs. Help save Khavda Pottery craft with the last practitioners of this craft! Abdulla Kumbhar, his wife Rahima Behn and their children are one of the two families that continue the Khavda Pottery traditions in spite of very meagre incomes and extreme hardships in the harsh environment of North Kutch, Gujarat. Their work environment includes the harsh temperatures of Kutch combined with the smoke, dust and back breaking work to burn wood for the “Bhatti” or pottery baking kiln! We helped Abdulla and his family get additional income recently by conducting several consumer workshops in Pune where close to 100 art and craft lovers participated in paid workshops and also bought a lot of their products. While talking to the couple, we found that they have contemplated leaving the craft and doing other things but they have stayed on to keep the craft of our country alive! We then talked to them on what will help them stay in the craft? Regular business and help with infrastructure needs was their answer! We are now working on getting regular business for their family in several ways including taking their products into more exhibitions, doing more consumer workshops, etc. This fund-raiser is to help fund the family’s infrastructure needs. Quite basic really, that they have been doing without for all these years! The costs related to these add up to Rs. 2.97 Lacs and details of these costs are given later in this document. The art of Pottery started during the Indus Valley Civilization, in the region of present day Kutch! The gold and beaded jewellery, terracotta toys and bronze figurines, seals with symbols found at the sites reflect the objects we use till this day. One such object, unchanged through millennia is the earthen pot, a ubiquitous entity seen all over the country. In the small village of Gujarat, Khavda-Bhuj, for generations, craftsmen have been making earthen pots with the same process and designs as those seen in Indus Valley excavations. Khavda is a small village, with skilled craftsmen like Abdul bhai whose forefathers migrated here from Sindh a few hundred years back. They craft a wide variety of vessels such as matka for water storage, Plate, diya, boxes, ketli, and kulada to keep buttermilk. While the men do all the throwing in terracotta, the women handle all the surface decoration which in this northern Kutch village of Khavda is primarily in the form of painting. The potter gets mud from a specific acre (A lake) area near their village. It is called 'Rann ki Mitti'. This soft clay is shaped into a pot on a potter’s wheel and left to dry in the shade, then Kumbhar women use red, black, and white clay-based paints to decorate each piece of pottery with distinct community-specific designs. After a while, it is cleaned and put in the sun to dry and then baked in a furnace, powered by simple and locally available fuels of dry wood and cow dung. The vessels are coated with a thin wash of geru (red color). The pots of Khavda get their red colour from Geru, a type of soil (ocher/ umber), and the black and white dots and stripes are also made with natural material. The traditional Khavda Pottery craft of Kutch is diminishing. Out of the ten families who used to practice this craft, there are only two left. The other families have been forced to shift to other livelihoods. Their pottery items used to be made for the local market, but the demand for of these items has decreased dramatically. Today, the artisans are dependent on external markets. 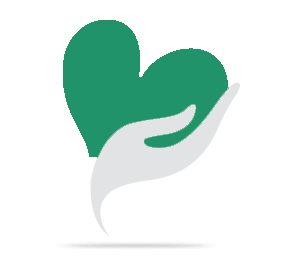 Heart for Art Public Charitable Trust is registered under the Bombay Public Trusts Act 1950 and donations to which are exempt from Income Tax under section 80G. The program will be supported by quarterly progress and financial reports. Please call Mildred at 9850510779 or write to us at mildred@heartforart.co.in for further information. Heart for Art is a Public Charitable Trust that works on reviving the traditional Arts + Crafts of India and helps increase Rural Incomes. We at Heart for Art, work towards bringing urban consumers products from rural artisans of India, who passionately create them! We create partnerships to find space for art and craft in private and public spaces and help craftsmen get back their pride. Our endeavor is to provide these products in the best traditions of artisanal masterpieces, yet adapted to contemporary lifestyles and sensibilities. Heart for Art is currently working with 50+ grass, metal, wood, durries, pottery and traditional games crafts from around the country. How do we increase Rural Livelihoods? Your share could be as good as a donation for Heart for Art Public Charitable Trust! Not everyone can afford to take care of their loved ones. Heart for Art Public Charitable Trust's life can only be saved by donations made by kind people like you.